Airport Taxi Service near me are by far the lowest in price in comparison, Our experienced taxi drivers are full passed and vetted and reliable. Our airport taxi drivers are always on time to pick you up from any area of Coventry in one of of our taxis to Heathrow airport or to Gatwick airport. 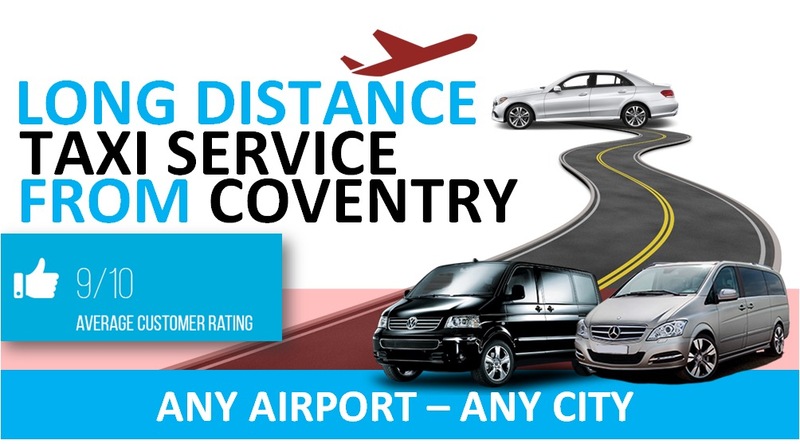 Long Distance Taxis Coventry Airport Transfers from all postcodes in Coventry, CV1, CV2, CV3, CV4, CV5, CV6, CV7, CV8, to and from all UK airports. Long Distance Taxis Coventry Airport Transfers are a leading Airport transfers provider to thousands of customers who live in Coventry, and surrounding areas such as Kenilworth, Warwick, Leamington spa, Stratford upon avon, Meridan, Balsall common. We provide cheap airport taxi fares to Heathrow airport. Also we take on advance booking to ensure availability. Before you decide to fly into a UK Airport. Like Heathrow airport, Birmingham airport, Luton airport, Manchester airport, Gatwick airport, East midlands airport or Stansted airport. Fill in our taxi quote form to make it easy for when your plane lands at the airport. We cater for long distance taxi journeys. Long Distance Taxis Coventry Airport Transfers provide 4 seater saloon cars, people carriers, Mercedes 7 seat taxis. All our airport transfer vehicles are always kept clean & safe. All taxis are fully licensed & fully inspected every 6 months to ensure peace of mind and safety. ADVANCE BOOKINGS ONLY. Mercedes Vito or VW Transporter or E7 TAXI or similar. Can carry 6 or 7 people and upto 7 luggage. Toyota Estates, Skoda estates BMWs or similar. Can carry 4 people and upto 5 luggage. Volkswagen Sharan, VW Touran or similar. Can carry 5 people and upto 5 luggage. Ford Mondeo – C-Class – Mercedes – Skoda or similar. Can carry 4 people and upto 3 luggage. We provide a full meet and greet service upon request. Check out our homepage for more information.